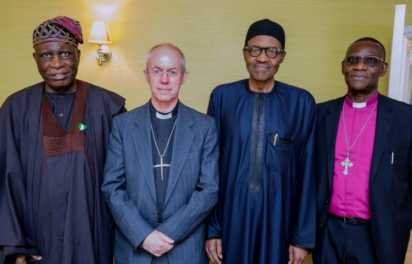 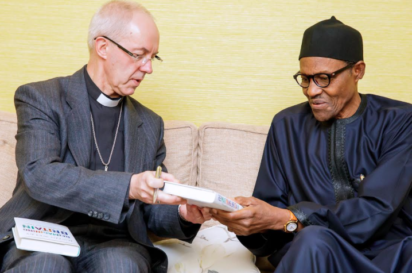 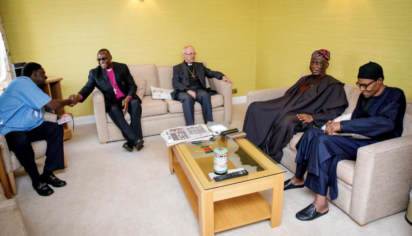 Photos: Buhari meets Archbishop of Canterbury – Royal Times of Nigeria. 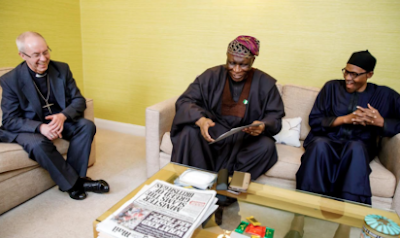 President Muhammadu Buhari met with Nigerian High Commission to United Kingdom Amb. George Adesola Oguntade, Archbishop Justin Welby and Secretary General Worldwide of Anglican Communion Archbishop Josiah Idowu-Fearon in London today.